Earlier this week the Webmaster and I were watching something on Comedy Central (probably South Park, The Daily Show, or The Colbert Report), when the a commercial for Ron White’s new special aired. 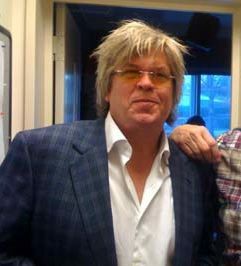 The Webmaster rewound the program and pointed out to me that Ron White is morphing into David Bowie. 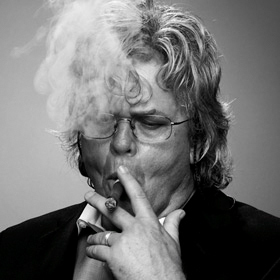 For those of you who don’t know who Ron White is, visit his Comedy Central bio page. Watch the Scotchguard and Scottish Nationalists videos. And to provide pictorial support of the Webmaster’s assertion, I present Exhibit A. DISTURBING. I don’t dislike Ron White; I think he’s a decent comedian (and I appreciate that he doesn’t use stereotypes of Southerners to get cheap laughs unlike some of his Blue Collar Comedy Tour compatriots, ahem LarrytheCableGuy). But a man who once went by the alias of Tater Salad is not someone I would ever guess would become a Bowie Doppelganger. There is a new compilation of David Bowie mash-ups and remixes out for Bowie fans to acquire. The latest addition to the ever-growing list of covers, remixes, and mash-ups is Ziggy Stardust Remixed gathered by DJ BC. You can download the album at the Ziggy Stardust Remixed website. Prefixmag posted a review of the album, if you’re interested. My take on the album? There is a lot of good stuff on there. Stardust Kids is hands down the best song on the album. I’m going to blast it in my car with the windows rolled down at least once a day for the next two weeks. The other fun ones were Starman (ATOM’s Space Funk Journey), Soul Love (ATOM’s Pink Innards Mix), Easy Hypocrites, and Five Years (World Famous Audio Hacker’s Brainache Mix). But nothing else on the album touches Stardust Kids. Entertainment Weekly website is featuring seventeen behind-the-scenes portraits taken from Clay Enos’ photography book from the upcoming Watchmen movie. The portraits show the main characters of the movie, a few essential supporting characters, and a couple of bit players in costume. Among the bit players are a couple of actors dressed as David Bowie and Mick Jagger. This makes the second nod to Bowie in the film. On a side note, when I saw Matt Frewer photographed as Edward Jacobi I finally realized that the actor that plays Taggart in Eureka is the same dude that plays the Trashcan Man in The Stand. Hello, I’m clueless. That’s the type of useless stuff that I usually know! I need to spend less time working and more time boning up on my pop culture knowledge. One day I’ll need to save the planet from an alien invasion by winning at a trivia game. Last night Neil Patrick Harris hosted Saturday Night Live and completely owned every host in the past. Even Steve Martin and Alec Baldwin. There, I said it. But more than that, in one sketch he portrayed David Frost grilling Other People….one of which included Bill Hader as David Bowie. Don’t get me wrong, I’m just happy someone thought to parody Aladdin Sane and reference Starman. And I’m friggin’ tickled that it was Bill Hader. But did it have to be so damn Bill Hader as Austin Powers as Aladdin Sane? For God’s sake, SNL dredge up an old Ziggy Stardust video or two on YouTube! The man who lived on broccoli and milk for a year and saw the Devil in his pool would not have given that interview. Will There Ever Really be a David Bowie Lane? A British think-tank, the New Local Government Network, recently released a report encouraging local British governments to name streets and local landmarks after hometown celebrities and heroes. The author of the report, James Hulme, suggests that Manchester could name a park after David Beckham, Edinburgh could name a library after J.K. Rowling, Birmingham could name streets after J.R.R. Tolkien and Corporal Matthew Croucher, and that London could name streets after David Bowie and Twiggy! There could be debate over whether this is another example of the crazy celebrity culture in Britain (something Americans know a thing or two about), but in Hulme’s view to name streets after local and national celebrities is simply another way to foster community pride. Local Government Minister John Healey, MP is a supporter of the report, stating that besides naming streets after well-known celebrities local heroes could be honored as well. 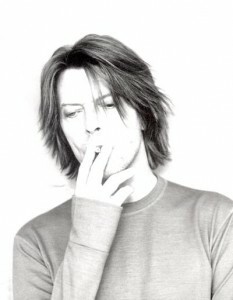 Obviously, what I am most interested in is the possibility of a street named after David Bowie. Of course I think it’s a great idea, but the bigger question is…what exactly should the name be? I think David Bowie Lane as the name for a neighborhood street has a nice ring. Or possibly David Bowie Boulevard for a larger thoroughfare. I wonder what the man himself thinks about the possibility of a street in his honor. Other than a bunch of name-drops due to the seasonally-appropriate Peace On Earth/Little Drummer Boy discussions, there has been no David Bowie news worth posting about. Seriously. None. Sure, there was a cover of “Peace On Earth/Little Drummer Boy” and a pointless list published by Pitchfork, but those aren’t really worth a post. 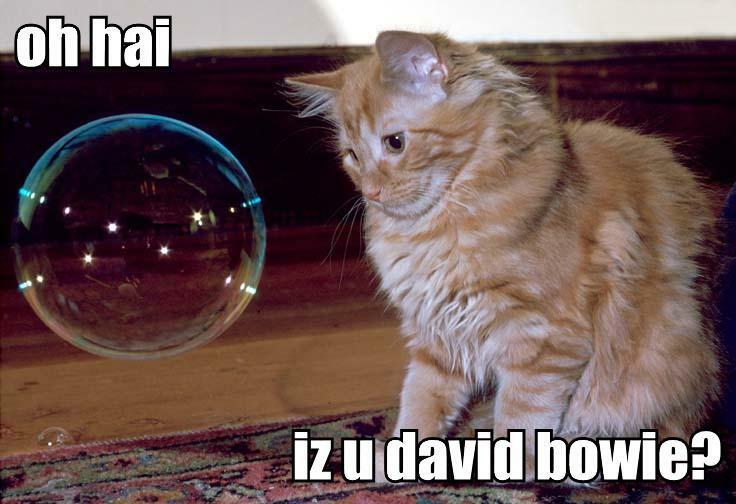 So, instead of Bowie news today I bring you a giggle…or a groan (depending on the guilty pleasure or fiery hatred you feel for LOLcats). That’s the best I have for you today. If David Bowie doesn’t do something interesting soon, I might have to dredge up other random bits to post about. Or come up with a rant or rave or something…..
Over the past several days I’ve seen a bunch of nonsense lists pop up on random sites featuring David Bowie’s name. I didn’t think they were each worth their own post, but I collected enough to make a post about them worth my time. They’re kind of fun to read. Nonsense List #1: The Top 20 Scariest Bloodsuckers – I thought this one was appropriate since we just had Halloween a few days ago. Also, it features most of my favorite film vampires. Check out entries 3, 4, 7, 9-11, 13-15, and 18. Nonsense List #2: Our favourite vampire films of the past 25 years – See above for reasoning. This one also features some of my favorite vampire flicks – The Hunger, Interview with the Vampire, Bram Stoker’s Dracula, and From Dusk Till Dawn. Yes, I know they are all terrible, terrible movies, well, except for Interview with the Vampire, but I like them anyway. You can laugh at me, I can take it. Nonsense List #3: Top Ten Worst Duets of All Time – Bowie and Jagger secure a spot of shame at #9. Read the entire list and giggle to yourself. Sometimes stormy days can be fruitful. Since Tropical Storm Fay has made it impossible to work or even safely go outside (hah, see what I did there? Outside?! ), I’ve taken the opportunity to dig through my list of unread David Bowie-related stuff that has piled up on this busy week. Lo and behold, I’ve come across a brilliant essay by a writer who loves 1.Outside as much as I do! Surf on over to New Mappings and read Steen’s piece on 1.Outside presented to the Uncanny Media conference.